dinosaur toes: my friend and the beast. my friend and the beast. have you met my friend brittan? i could tell you that she's funny, pretty, sweet, creative, and all those good things, but maybe you'd think i'm biased. well, i am. but all those things about her are completely true! she's one of my first and best blogging friends, and i love the friendship that we've developed. 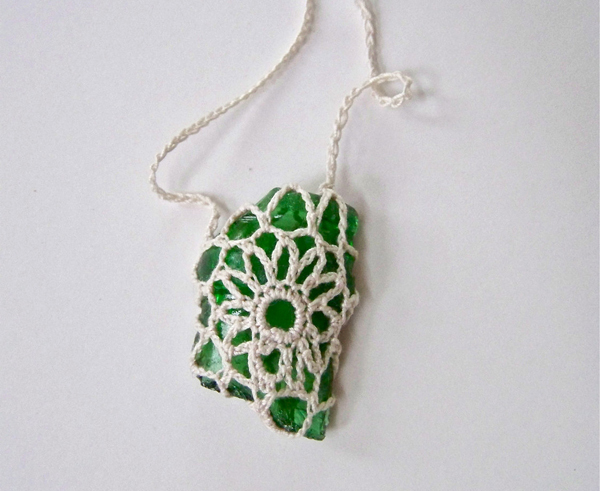 not too long ago she did a post introducing her crochet covered stone and beach glass jewelry, and i just stared. and stared and stared. i have one of her crochet covered beach stones, so to think of the same idea, but in jewelry form, just had me hooked! 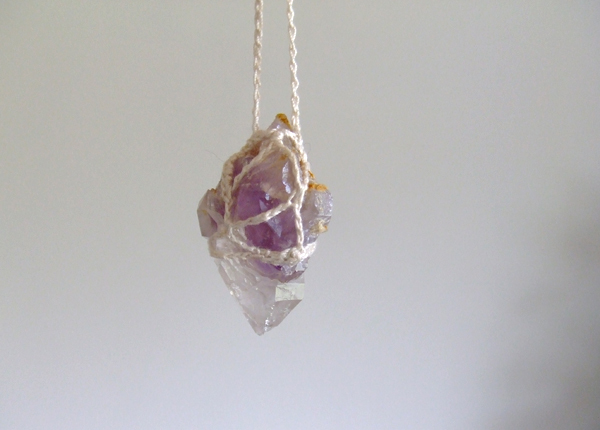 so, last week i had a package from her in my mailbox, and in addition to a gorgeous custom made brooch with a painting of flojo, some quartz and amethyst stones and a porcelain bird, I HAD A CROCHETED AMETHYST NECKLACE! i was so excited! you can find her shop here and take a looksie at some of the necklaces! the necklace above is mine, all mine! the two below are some of my favorites from her shop. isn't she incredibly talented? 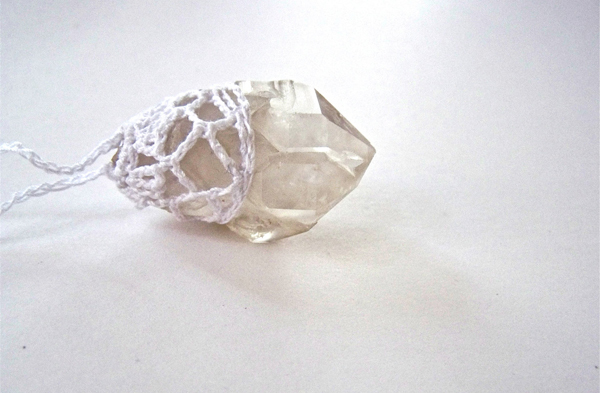 i love how the necklace with quartz has the crochet at the top, almost like an acorn. now for the part about the beast. i was taking pictures this morning for a client, and when i got to this jeep i needed a picture of, i just happened to look down, and there it was. the biggest black snake i've seen since i was 11 or 12, just stretched out in the grass, black scales lit up by the sun, not a foot from where i was standing. i think i did number 1, 2, 3, AND 4 right there in my pants. i jumped, screamed, and ran like the wind back to my car. i got in, hyperventilating and screaming to myself as if that would make the snake disappear (never to reappear again, ideally), and realized i had to get back out. i wasn't finished taking pictures. for the last few, i didn't step foot in the grass, and i realized just how much i appreciate zoom on my camera. i may have had a heart attack, or maybe heart failure, either way i'm surprised i lived to tell about it, not because i'm afraid a snake will hurt me, but because i'm afraid i'll lose consciousness and all major organs will shut down from adrenaline overdose. so yeah, that beast scared the crap, almost literally, out of me. the worst and scariest part of my day! i hope you've had a good, snake-free day! Those necklaces are BEAUTIFUL! I am seriously coveting! You need a little St. Patrick charm to wear to keep the snakes away! Eeeeek! I'm not really scared of snakes, but they sure are startling. A couple weekends ago, I was hiking with a friend, and we saw TWO on our hike. Ugh. Also, I don't know how to tell the difference between poisonous ones and not-poisonous, so that doesn't help either. I have never seen necklaces like those. They are truly beautiful. Sorry to hear about the snake incident. The way you feel about snakes is the way I feel about spiders. I am terrified of spiders. Those necklaces are gorgeous. She's so talented. You lucky girl with that Amethyst! And eeek about that snake! I feel your pain and don't blame you for the 1 to 4. Seriously. eeep! killer snakes! ha hah a! i feel that way about spiders, i am ok if they aren't too close or touching me, but if they are my whole body has a reaction... craaazy! i am so glad you liked everything!!! sorry it was so late, but when i saw the pins that sam (from IndianBlue) makes, i knew i had to postpone shipping until i had her make one for you!!! everyone is so sweet with their comments about my necklaces! it is making me so happy!!! I wouldn't have been able to run from that snack! I would have been too busy passing out from fear! You are lucky!! I really need to buy one of those necklaces. So beautiful. sooo cute, im in love with her stuff! i wanna see the brooch of flojo! I love the crochet. What a great idea! Um, snakes in VA are nothing to scoff at. Stinkin' copperheads are everywhere! I saw a rattler in the desert once and I almost shat myself. These are awesome necklaces! I love the quartz piece especially! these are so so gorgeous. i want one so so bad. the art and the seeing eye dog.